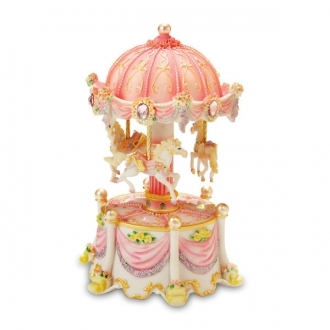 Carrousels are the most favored childhood play things. 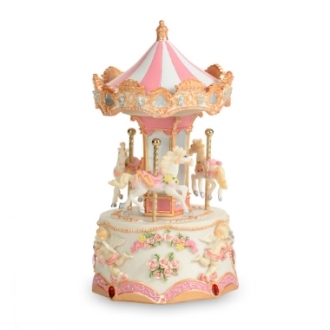 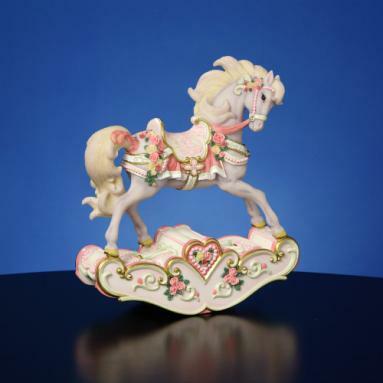 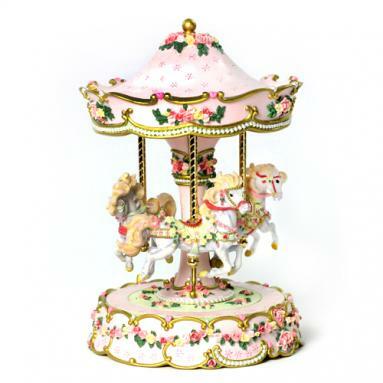 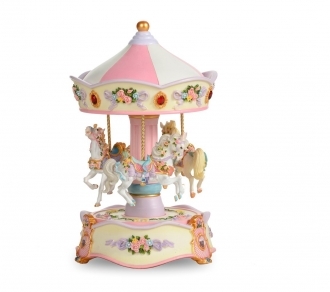 For the same reason, our carrousel music boxes enjoy a vast popularity. 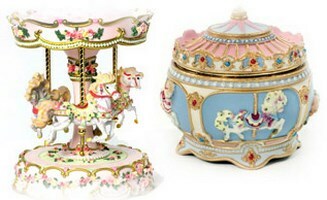 They feature carrousels in different forms and colors. 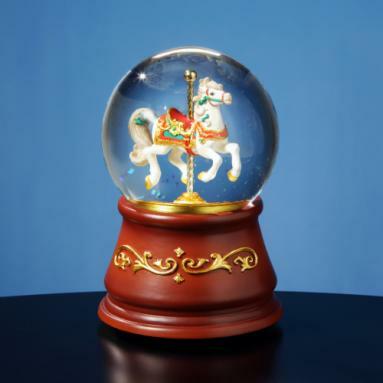 The water globe with a carrousel in it is a good décor item on a child’s bed side table. 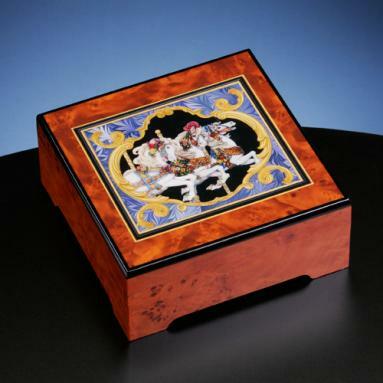 The soothing music from it will lull the child to sleep. 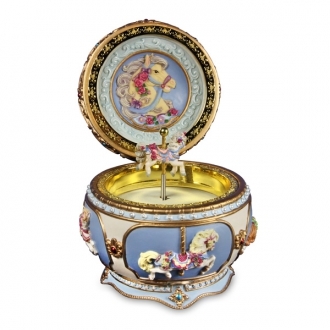 Children are sure to be enamored by these cleverly crafted music boxes. 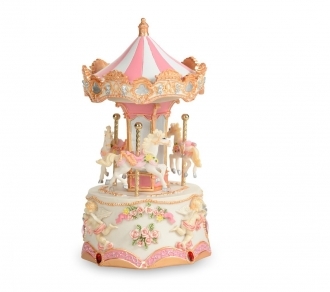 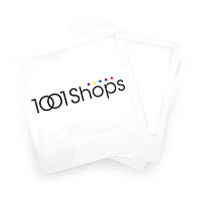 They form great gift articles for children.